On Jan. 10, 2016, a young man named Esteban Santiago stood outside the door of a bathroom being used by his girlfriend in Anchorage, Alaska. When she did not emerge upon demand, Esteban proceeded to kick the door in with enough force to split its wooden frame. Once inside, according to court documents, he screamed obscenities at his girlfriend while strangling her and hitting her about the head. He fled before the police arrived but was soon taken into custody, then released on a no-contact condition with the victim. Esteban chose to ignore that order and was arrested in her apartment just a few weeks later. Were it not for what happened roughly one year from that incident, the case of Esteban Santiago would have been filed into history, along with the other 10 million domestic violence assaults that are reported annually. However, on Jan. 6, 2017, Esteban flew into Florida’s Ft. Lauderdale airport and retrieved a gun from his suitcase at the baggage claim. He then loaded it in a nearby bathroom and came out shooting. He killed five people, shot six more non-fatally and injured over 40 more in the ensuing panic and chaos. The gun Esteban used was the same 9mm pistol that Alaska police had taken from him for safekeeping, but then returned to him shortly thereafter. While this case is indeed disturbing, its details are far more common than most people can imagine. Research reveals that nearly 60 percent of all mass shootings (defined by the killing of four or more victims) have roots in domestic violence. According to a 2015 Everytown for Gun Safety study, in 57 percent of the 133 cases reviewed “the perpetrator shot a current or former intimate partner or other family member, and in at least 21 incidents the shooter had a prior domestic violence charge.” In fact, a loved one was often the very first person killed, followed by other secondary or “corollary” targets (individuals outside that primary intimate relationship). While most people are aware of the more public shooting events that happen in schools and workplaces across America, the frightening truth is that most mass murders happen in our very own homes. As a threat assessment and management professional, I am fascinated by what happens before a domestic violence-related mass murder, constantly looking for warning signs and other information that could lead to better identification of and intervention in such cases, far in advance of their tragic results. One of the questions that comes to mind in this process is: What do the perpetrators of mass murders and domestic violence have in common, and how might we use an understanding of these connections to prevent future violence? Perpetrator motives for mass murder can vary widely, but the majority of experts agree that most evolve as a response to some sort of grievance, often a perceived wrong done against an individual or group. A perception of having been insulted, wronged, or betrayed may also contribute to domestic violence. For example, advocates and other field professionals know that the victim ending the relationship, (or telling the abuser they’re going to), is among the most highly predictive factors of lethality. The central feature of domestic violence is control over an intimate partner and when abusers lose that power, they often react explosively. In David Adams’ fascinating 2007 book Why Do They Kill?, the author studied 31 male incarcerated domestic killers at significant depth. Among his subjects who admitted their culpability, motives included sexual jealousy and possessiveness over the victim, a feeling of having been abandoned or treated with intolerable disrespect, and a sense of outrage over the victim’s behavior, which the abuser considered justified. Another parallel between domestic abusers and mass murderers is a propensity toward mental health conditions, although to varying degrees and consequences. While it is true that most people with psychological problems do not act out violently, many recent mass shooting perpetrators have been diagnosed with a major mental health condition such as schizophrenia, dissociative disorder, depression, or bipolar disorder. An interesting point to note however, is that only a small percentage are found to have been technically “psychotic” at the time of their attacks, and may not have met the criteria for legal insanity. Similarly, the average abuser might not qualify for such a serious psychiatric label, but many do have personality disorders such as antisocial, borderline, or narcissism. Often, the cognitive and behavioral patterns that define these disorders do not impede their daily functioning, but may nonetheless contribute to the abuse they perpetrate on intimate partners or others. 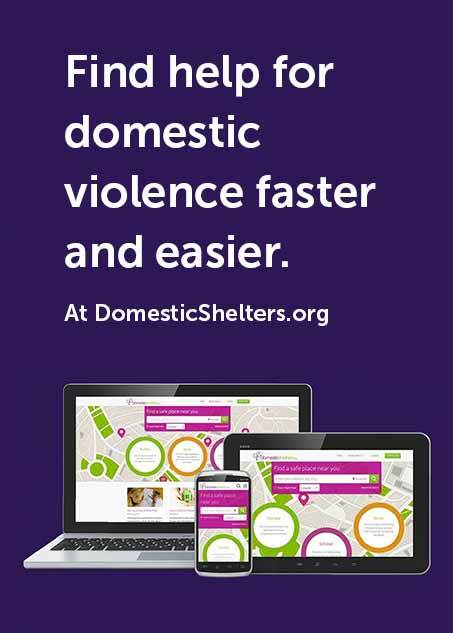 In a 2014 article for Slate magazine, law professor Nancy Leong wrote “Men who engage in violence at home are often men who engage in violence outside the home. And men who devalue women’s lives are, by definition, men who devalue human lives.” This statement rings unfortunately true when we look at the histories of violence held by both abusers and mass murderers. Research finds that people who have been convicted of domestic violence in the past are much more likely to commit a future violent crime than someone who's been convicted of an offense such as DUI. In fact, in one study, committing a felony domestic violence assault was the most heavily weighted risk factor in determining the possibility of future violence. ( ) Similarly, researchers Reid Meloy and Kris Mohandie found that not only did 43 percent of adult mass murderers had a history of violence, but their most common victims were female intimate partners. Part of our nation’s challenge in addressing domestic violence is that, just like mass shooting events, most people think they will never be directly affected. What they fail to realize is not only the prevalence of domestic violence ( 1 in 3 women experience abuse by an intimate during their lifetime) but the possibility that they or a loved one could be impacted, even if they never become involved with an abuser. For example, a man or woman who has known only loving, healthy relationships could walk into their job tomorrow and be shot by an abusive co-worker whose partner has just moved out. An exact count of corollary victims killed each year is difficult to ascertain. This is mostly because a murder does not get classified as a domestic violence homicide unless the victim and perpetrator are current or former intimate partners. As such, there are no federal statistics on family members, friends, co-workers or bystanders killed during intimate partner disputes. However, some independent researchers who have looked at the issue have uncovered shocking potential numbers. One analysis published in 2014 through the American Journal of Public Health examined seven years of records from 16 states. It found that nearly 4,500 people died in more than 3,000 incidents of intimate partner violence. Approximately 20 percent of those killed were new partners of the victim, supportive loved ones or young children. Other victims in the study were strangers to the victim and perpetrator both, who simply found themselves in the wrong place at the wrong time. A surface examination of this matter reveals that a strong connection likely does exist between domestic violence and mass murder, and it undoubtedly requires a closer look. Understanding the common roots of these two issues may offer us opportunities to avoid the latter by recognizing and responding to the former. Efforts like expanding funding for mental health and victim services, increasing legal penalties for abusers, introducing gun control legislation and promoting public awareness can all help to prevent domestic abuse, while also potentially preventing acts of violence on a larger scale. While it seems like an uphill battle at times, even if we only succeed in stopping a fraction of the domestic violence and mass murder occurrences we see, I think all Americans can agree that the possibility is well worth our collective attention. Editor's Note: This article is part of #YourVoice, an ongoing column published on this website by individual contributors in their own personal capacity and that involves the opinions, recollections and/or information provided by such contributors, and which does not necessarily reflect the official policy or position of this website. Lynn Fairweather, MSW, is an abuse survivor who has worked in the domestic violence response and prevention field for over 23 years. As principal of Presage Consulting and Training, she provides professionals with domestic violence threat assessment and management training, workplace violence program and policy consultations, and 24/7 individual case response. Lynn is the President of Oregon VAWPAC, America’s only political action committee focused on violence against women, and is author of Stop Signs: Recognizing, Avoiding, and Escaping Abusive Relationships.